Why sign up for a GRADnet Winter School? A PGR’s perspective. Cumberland lodge is every bit as striking as its reputation implies. Just 15 minutes from Woking station, and situated in Windsor Park, it is both convenient and secluded. I felt very fortunate to be staying there for the GRADnet winter school 18-20 February 2019. It’s a comfortable and well catered venue, with good menus for all dietary requirements. The winter school aims to cover leadership skills and discusses the current understanding of best practice and common problems. This year it was led by Dr. Trevor Long, who has an outstanding background in the field, as well as a perfectly tuned approach to a practical learning experience. This is illustrated by a study of the NASA Columbia disaster of 2003. Accounts of the disaster are separated into the perspectives of four figures who were closely involved and the group is split into teams. Each team reports on the contribution of one of the four teams. The Columbia study was very engaging and effective, certainly the highlight of the workshop for many people there. Many of the concepts and observations on leadership presented were very interesting and thoughtful. It signposted issues important to teamwork in both academia and industry. An additional feature of the workshop brought together five industry team leaders to aid our understanding of how to put our new leadership skills into practice. Some of the content did come across as a little enigmatic and it was certainly presented from the perspective of industry. The trip to Windsor also deserves a mention. It was an excellent demonstration of the sensitivity of physicists to location based variance in the value of beer. The town is charming, of special interest to international students, and the castle is also pretty. This workshop has a lot to recommend it. Thank you to SEPnet PGRs from QMUL and Southampton for their contribution in writing this article. Employer panel with ingenie, Ultra Electronics, Blue/Red Optima, Stifel and the UK Space Agency. Students participating in the “Marshmallow Challenge”! Columbia Space Shuttle Mission in Windsor! The GRADnet Winter School took place on 18-20 February 2019 at Cumberland Lodge, Great Park, Windsor. Dr Trevor Long, consultant, led the workshop for over 30 delegates. 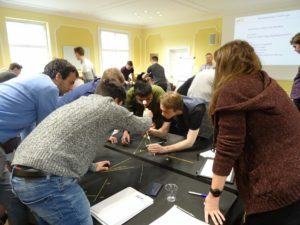 This workshop was an integrated learning event where delegates developed insights into the importance and nature of leadership and effective team working. These are skills they will require in any career in academia, government or the private sector. Formed around a multi-media case simulation of the ill-fated Columbia Space Shuttle mission NASA engineers and leaders seek to understand the nature and threat associated with a technical problem that occurred on launch. Over the course of the mission, they analyse the damage, assess the risks, and decide what to do. Leadership, organisational culture, communication, personality characteristics, formal systems and job positions are amongst many complex issues that affected the course of the decision-making process. Thank you to the employers for their participation and to Trevor for making this workshop a success. The best aspects for me are that it has motivated a lot of thoughts and has challenged me to think about myself. The employer panel was extremely productive. A lot of good insight was shared. Kent: Emerald Taylor, Alex Paul, Luke Cornwell and Akiko Sato (Kent). QMUL: Jesse Coburn. 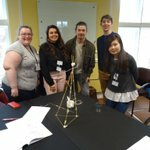 Well done for constructing a 22″ tower! Amazing feat of engineering with spaghetti and tape! Olivia Keenan, our Director of Outreach and Public Engagement, is giving a talk on her PhD work at the Institute of Physics on the 20th of March. The talk is free and open to all. Refreshments will be served from 6pm, with the talk starting at 6:30. State of the art computer simulations of our Universe currently over predict the number of dwarf galaxies by a factor of 10. As astronomers, we need to understand why this discrepancy has come about, and whether it is due to problems with simulations, observations, or both. One potential solution is that these galaxies could be hidden, ‘dark galaxies’. 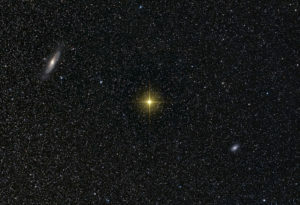 Dark galaxies are galaxies which are gas dominated, with few to no stars. 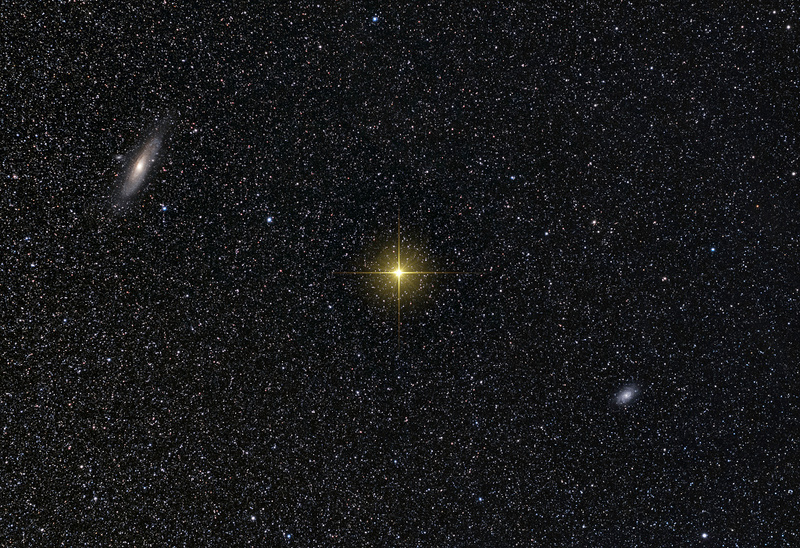 There have been many dark galaxy candidates, however, so far none of these has been confirmed. Another solution is that the galaxies are star dominated but extremely faint and hard to detect in crowded, large field surveys. If so these galaxies could be detected using a combination of their physical properties to separate them from background field galaxies. In this talk I will discuss work on this topic, and how this has contributed to understanding the missing satellite problem. SEPnet Summer Placements 2019 – 2 weeks to submit a project for a physics student! SEPnet organises an annual placement scheme for physics students at the above universities and is seeking 8-week plus projects in industry or research in areas such as data analysis, mathematical modelling, product design and testing or science communication. 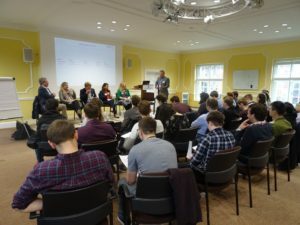 The scheme is aimed at any organisations interested in recruiting physics graduates, or who can offer valuable business experience, including large companies, SMEs, start-ups, research institutions, charities and NGOs. ‘We took SEPnet students for the second year running and have been very impressed with the calibre, their capabilities and the general high standard. For your records we have just made a permanent job offer to one of the students…’.